Registration continues for the 2016 Fall Recreational Soccer Season. The Fall season is fast approaching, please review the key dates below. Visit the online calendar at Calendar.GermantownLegends.com and website for latest program updates. Additional 'Preseason' training sessions run by the Legends staff have been added. A short Parent Meeting Q&A will be held during each of these sessions. Late registrants are NOT guaranteed a roster spot on a specific team or with a specific coach. Please see website for additional information or registration policies. Come join us as we celebrate the beginning of a new soccer season! This is a COMMUNITY event, EVERYONE is welcome to attend. Legends staff will be available to discuss the upcoming 2016 Fall season. 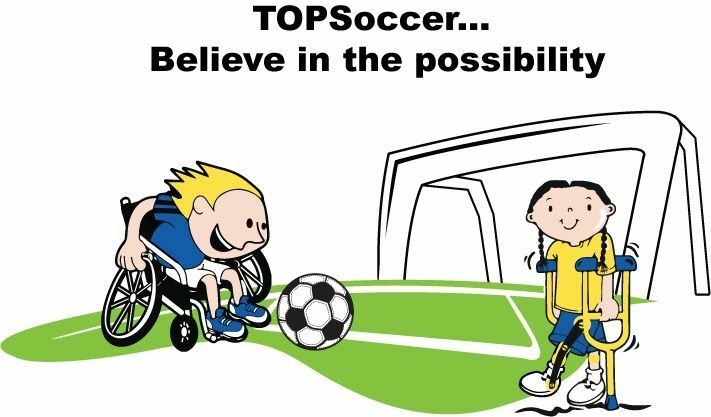 TOPSoccer, the Outreach Program for Soccer is a community-based training and team placement program for young athletes with disabilities. The purpose is to give every player a chance to experience the joy of soccer. The Germantown Legends REC Soccer program is always seeking high-quality, energetic volunteers to coach and manage teams for children ages 5 to 19. Volunteers are the cornerstone of the Germantown Recreational Soccer programs. As a volunteer, you have the opportunity to teach valuable life-long lessons to children of Germantown. Self-confidence, sportsmanship, learning to be part of a team and promoting physical fitness are all values volunteer coaches can instill in the lives of local children. While over 50 local parents volunteer their time to coach in this program each year, we never seem to have enough. Be a coach for your child’s team and share moments that last a lifetime. If you are on the fence or nervous about committing, don't be. We provide several tools to help prepare you,… from Practice Plans and Ideas, Coaches’ Games... even Coaching Courses. In addition, certified or licensed Coaches can receive reduced or free registration for their child. Click here for details. If interested in volunteering, or have questions or concerns, please send us an e-mail to INFO@GermantownLegends.com or just register online as a Coach. Registration for the USSF D Coaching Course (Part 1) to be held in Germantown, TN continues online. Courses will take place July 22- July 24. Classroom sessions will be held at Houston High School; while field sessions will be held on Germantown soccer fields. For more information or to register, visit www.TNSoccer.org. HappyFeet LEAGUE registration continues for the Fall season. The HappyFeet LEAGUE is 7-week program beginning Saturday, September 12th and finishes on October 24th. The kids are grouped with their friends and new friends in teams of similar ages. This is the perfect way to make team play great fun and introduce kids to organized team sports. They have a blast because they’re familiar with their HappyFeet coach, the HappyFeet approach and their new friends! As space is limited, please register early. While the 2016- 2017 team tryouts have been held, we do have a few openings. If you are interested in joining the Legends, please contact us. The Germantown Legends are always looking for dedicated athletes to add to our roster of talented players. If a player will miss or has missed a scheduled tryout, please contact us. The Germantown Legends are the 'official soccer provider' to the City of Germantown, TN.